Dr. Nicholas “Nick” Rauber has worked as a dentist in Baton Rouge, Louisiana for over a decade. The founder of Swollfest, Nick Rauber, DDS, supports children’s charities such as Our Lady of the Lake Children's Hospital (OLOLCH). On a mission to provide the best dedicated pediatric care for the children of Louisiana, OLOLCH is building a freestanding hospital dedicated to children. In November of 2017, the hospital’s management and staff celebrated the completion of the freestanding hospital’s steel structure. The milestone was commemorated with the hoisting and placement of special beams that bore the individual signatures of stakeholders including donors and team members. The beams were also signed virtually online by thousands of others who supported the construction. Overall, 2,500 tons of steel were used in the construction, together with 600 tons of rebar, 14,000 cubic yards of concrete, 1,000 support piles, and 284 miles of electrical wire. The project encompasses over 450,000 square feet, with 80 percent dedicated as hospital space and about 20 percent as office space. Speaking at the event, OLOLCH chief medical officer Shaun Kemmerly praised the efforts of all people involved in the construction, hailing the completion of the steel structure as a show of their dedication to the health of Louisiana’s children. Finishing work is ongoing. Nicholas “Nick” Rauber, DDS, has treated patients as a dentist with Aesthetic Dentistry Group in Baton Rouge, Louisiana, since 2007. Furthermore, Nick Rauber, DDS, is the founder and primary organizer of Swollfest, an annual charity fishing rodeo that raises money for various local and national organizations. Individuals taking part in the annual fishing rodeo must, first and foremost, adhere to all fishing and angling regulations set forth by relevant state and federal bodies. The event maintains a number of additional rules, such as a ban on billfish, with the exception of swordfish, and big eye tuna catches counting in the yellow fin tuna category. The event also bans any miscellaneous fish that are not specifically listed under various Swollfest categories, which can be reviewed at www.swollfest.com. The event has developed additional rules in areas of conduct and sportsmanship. There is zero tolerance for unsportsmanlike behavior or unnecessary mutilation of fish. Any violation of event or local regulations will automatically result in disqualification, with Swollfest’s board members reserving final decision on all matters. A complete list of event rules and regulations can be found online. A partner at Aesthetic Dentistry Group since 2007, Nicholas (Nick) Rauber, DDS, has volunteered his services for organizations such as Donated Dental Services and the American Dental Association’s Give Kids a Smile program. At the age of 17, Dr. Nick Rauber founded the Swollfest Fishing Rodeo, which raises funds primarily for Our Lady of the Lake Children's Hospital in Baton Rouge, Louisiana. A comprehensive health network, Our Lady of the Lake Children's Health has a team of over 40 pediatricians and 80 specialists who provide treatment to children with a diverse range of conditions. 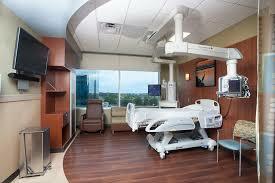 The hospital's specialties range from allergy and immunology to neurology and neurosurgery. Our Lady of the Lake also operates the area's only Level-designated trauma center with a 24/7 transport team and pediatric intensive care unit. 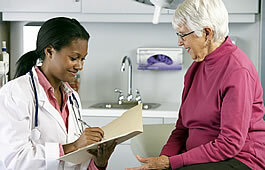 In order to provide patients with top-quality service, the hospital employs security ID systems and the latest in healthcare technologies, such as computer-assisted IVs and pediatric vein viewers. ​An accomplished dentist in Baton Rouge, Louisiana, Nicholas “Nick” Rauber, DDS, has treated patients through the Aesthetic Dentistry Group since 2007. Dr. Nick Rauber has a long history of charitable volunteerism and community support that goes back to his teenage years, when he established the long-running Swollfest Fishing Rodeo. Over the years, Swollfest has evolved to become one of the top 25 national donors for the American Diabetes Association (ADA). Supported by more than 14,000 health care professionals and over a million volunteers, the ADA is dedicated to assisting individuals with diabetes both directly and through a range of public policy efforts. As part of its mission to lower the cost of insulin and keep it low, the organization recently released a comprehensive public policy statement that addressed the continuing need for increased insulin affordability in both the long and short-term. The ADA’s recommendations include full transparency across the insulin supply chain, low cost-sharing/no cost-sharing for insulin, and improved access to health care coverage in general. The ADA also supports the development of regulatory processes that encourage the production and distribution of biosimilar insulins. A graduate of the Louisiana State University School of Dentistry, Nicholas (Nick) Rauber, DDS, practices at Aesthetic Dentistry Group in Baton Rouge. Dr. Nick Rauber leads the practice in contributing to various charitable efforts, including the Swollfest Fishing Rodeo and the Amazing Half Marathon weekend, which will be hosted by Our Lady of the Lake Children's Hospital on March 10-11, 2018. The Amazing Half Marathon will feature 5K and 10K races and a half marathon for adults. Participants have the option of signing up for the Amazing Challenge, which consists of the 5K on the opening day and then either the 10K or the half marathon on day two. Individuals who complete the 10K race can use their time to qualify for the Crescent City Classic in New Orleans. The Amazing Half Marathon weekend will also feature events for children, including a half-mile run and a full-mile run on Saturday. By registering as Amazing Fundraisers, participants can help raise funds for Our Lady of the Lake’s new freestanding children’s hospital. Those who raise $500 or more will be recognized on the Dash’s Donor Board and receive free registration, a special t-shirt, and access to the VIP tent. A longtime resident of Baton Rouge, Louisiana, Nicholas “Nick” Rauber, DDS, serves as a dentist with Aesthetic Dentistry Group and as the founding director of Swollfest Fishing Rodeo. He concurrently sits on the board of directors for a number of professional and academic organizations. Dr. Nick Rauber is also an active board member of the Coastal Conservation Association (CCA), a nonprofit comprised of more than 100,000 anglers and outdoor enthusiasts. 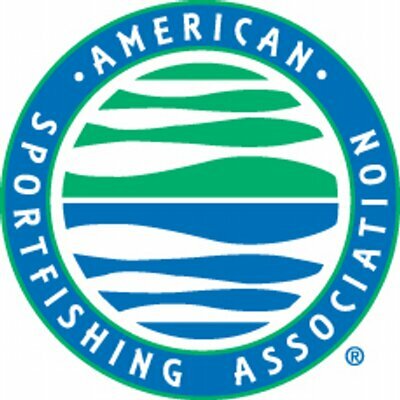 In December 2016, the CCA joined a number of American sportfishing organizations to respond to a recent petition to list the Pacific bluefin tuna as threatened or endangered under the Endangered Species Act (ESA). After conducting in-depth research into the issue, these organizations submitted a response to the West Coast regional administrator of the NOAA Fisheries/National Marine Fisheries Service in Seattle, Washington. Citing recent scientific data that indicates the global Pacific bluefin tuna population is stable and slowly rebuilding, the response ultimately determined that the species is at no current risk of becoming extinct. In short, while the Pacific bluefin tuna faces multiple environmental threats, none of these threats nor their combined cumulative impact is likely to lead to complete species extinction in the foreseeable future. Currently working as a professional dentist for the Aesthetic Dentistry Group in Baton Rouge, Louisiana, Dr Nicholas “Nick” Rauber has been practicing dentistry for over 10 years. Nicholas “Nick” Rauber, DDS, is also a member of several professional organizations as well as being the founder and director of Swollfest. 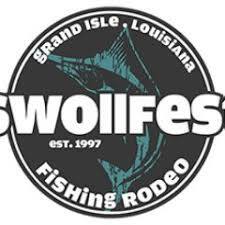 Created as a nonprofit organization for the purpose of raising money for needy organizations like the Muscular Dystrophy Association and the American Diabetes Association, Swollfest was established in 1997 as a local fishing tournament in Grand Isle, Louisiana. Proclaimed as a fishing rodeo, the event includes competitions for a variety of areas such as best boat, overall kayak champion, and overall Swollest fish. The fishing rodeo uses a point system to establish the overall winners. The Swollfest Fishing Rodeo includes offshore and inshore divisions as well as a deep drop division and a kayak division. The rodeo also features a women’s division and a children’s division for ages 12 and under. A New Orleans native and graduate of the Louisiana State University School of Dentistry, Dr. Nicholas “Nick” Rauber serves patients at Aesthetic Dentistry Group in Baton Rouge. Dr. Nick Rauber also donates a great deal of his free time to local philanthropic causes, including the annual Swollfest charity fishing tournament. Each year, Swollfest brings thousands of volunteers, sponsors, spectators, and competitors to Grand Isle, Louisiana, for the city’s most noteworthy fishing rodeo. More than just a fishing tournament, Swollfest offers an opportunity for local residents to come together in support of philanthropic causes, and it has donated over $1.2 million to groups including Our Lady of the Lake Children’s Hospital, Heroes on the Water, and the Sportsmen’s Foundation for Military Families. In addition, Swollfest serves as a celebration of regional art, music, and culture. Each year, the event selects a local artist to design the promotional poster for the annual charity fishing rodeo. For the 2017 Swollfest, which marked the 20th anniversary of the event, rodeo organizers tapped multimedia artist Tami Curtis. A graduate of Louisiana Tech University holding degrees in both art education and graphic design, Ms. Curtis has embarked on an artistic career including tenures as a public and private school art teacher; an art museum education coordinator; and an entrepreneur. 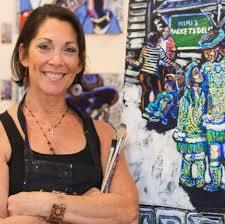 Experienced in creative mediums including two-dimensional art, hand-painted fabric, and pottery, Tami Curtis frequently incorporates diverse materials, such as pieces of tapestry or salvaged architectural features, into her unique and vibrant pieces. In general, her work reflects and celebrates the rich culture of Louisiana, exploring its spirited history and music through equally vibrant colors and brush strokes. ​Dr. Nicholas “Nick” Rauber serves as a dental surgeon at Aesthetic Dentistry Group in Baton Rouge, Louisiana, where he provides a comprehensive array of dental services. An active participant in numerous humanitarian and community causes, Nick Rauber, DDS, is also the founder and director of a local charitable fishing tournament known as Swollfest. Swollfest brings together the residents of Southern Louisiana for a weekend of fishing and community. Families from throughout the region gather at Grand Isle each year for the event, and attendance has grown to include more than 600 registered participants and thousands of spectators. The tournament is divided into five general divisions: Kayak Champion, Offshore, Inshore, Deep Drop, and Overall Swollest Fish. Known to locals as a “fishing rodeo,” the fishing tournament maintains an unwavering dedication to supporting charitable causes and contributes to several major and minor charities. Swollfest's major beneficiary is Our Lady of the Lake Children's Hospital as well as other beneficiaries including MDA Summer Camp, Heroes on the Water, Swollfest Outdoor Wish Foundation, St. Elizabeth Foundation, Grand Isle School, and the Sportsmen's Foundation for Military Families.. In addition, Swollfest acts as a vehicle for community outreach and enables young volunteers to earn community service hours. Since its establishment in 1997, the event has also implemented the Inspirational Award in order to honor disabled children and veterans in the community. Recipients of the award receive special recognition at the end of Swollfest and an all-expenses-paid hunting or fishing trip through the Swollfest Outdoor Wish Foundation. Having obtained his DDS from the Louisiana State University dental school, Dr. Nicholas Rauber has spent nearly a decade at Aesthetic Dentistry Group in Baton Rouge. In this position, Dr. Nick Rauber provides patients with a range of dental services, from fillings to root canal therapy. Dr. Nick Rauber founded the Swollfest fishing rodeo, a charity event benefiting the American Diabetes Association and other nonprofits. The American Diabetes Association (ADA) provides a number of resources to individuals living with diabetes, including tips on how to maintain healthy eating habits while spending the night out at a restaurant. To begin, individuals should have a firm understanding of when they will be dining, particularly if they need to take an insulin shot or diabetes medication. 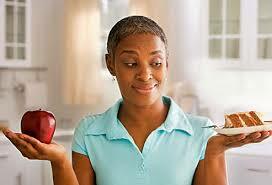 People with diabetes should discuss insulin doses and eating times with a trusted medical professional. Ordering from a restaurant is another critical process for individuals living with diabetes. Though dietary habits and goals can differ considerably from one person to the next, it is important to patronize restaurants that offer an array of choices when it comes to limiting salt intake, increasing fiber, and other nutrition priorities. Those with diabetes should not hesitate to make certain requests, if possible, such as declining any extra butter or salt during the preparation process. To learn more, visit www.diabetes.org.